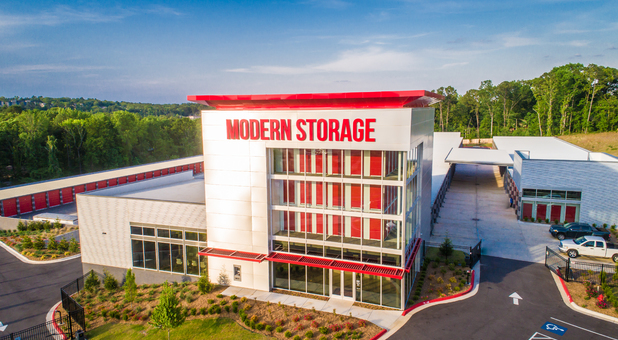 Central and convenient, our brand-new storage facility is just off Chenal Parkway and only seven miles from downtown Little Rock. We're right behind Barnes and Noble and Toys R Us and across from L.A. Fitness Little Rock. You can turn by Purple Cow to get to Modern Storage West Little Rock. Thanks to our proximity to Interstate 430 and Interstate 630, we're easily accessible from anywhere in the Little Rock metro and beyond, including Midtown Little Rock, Downtown Little Rock, Benton, Bryant, Bauxite, and Alexander. Give us a call to get started - we'd love to provide the customer service and storage units you're looking for! 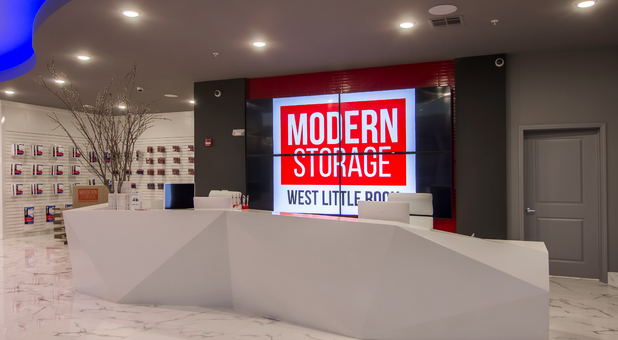 Here at Modern Storage West Little Rock, our range of amenities is second-to-none. 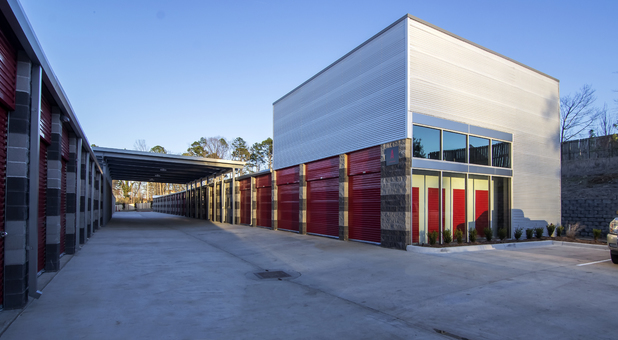 Not only do we offer 24-hour access, but our storage center is also equipped with a 24-hour kiosk in case you want to rent a unit after business hours or purchase a storage lock. 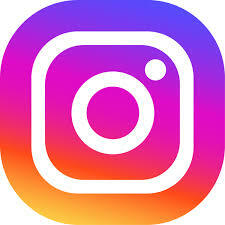 You may also rent a storage in Little Rock on your mobile phone or your computer at any time. 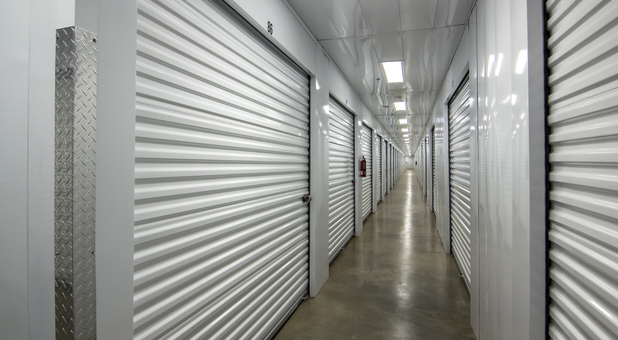 Our Little Rock storage facility offers a broad range of storage units that come in a variety of sizes and great amenities like drive-up access and temperature control. In addition to our affordable storage units, we have our economical vehicle parking options. We also have a covered unloading area for you when its raining*. Short term or long term, we offer secure enclosed and open parking for cars, RVs and boats. 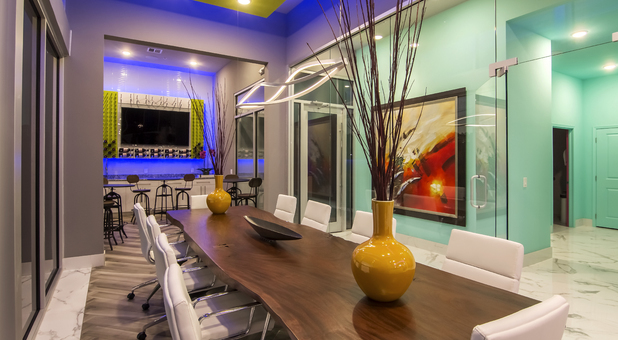 Commercial customers can also take advantage of our business center and conference room. As a special added feature, we also have wine storage lockers. We offer starbucks coffee for our customers. Alongside our great amenities, our range of security features keeps our facility safe. The property itself is fenced and gated and installed with surveillance cameras that constantly record. Each storage unit also has door alarms. 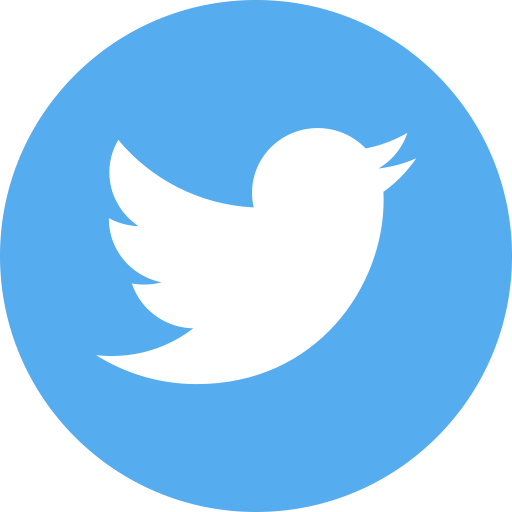 Why not contact us today and let us solve your storage problems? 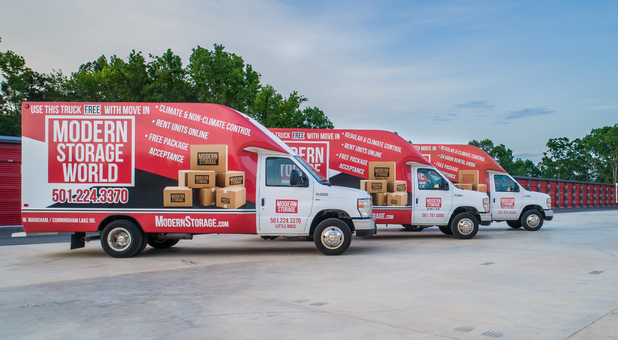 You can take advantage of our free moving truck! You can find us just off Chenal Parkway in West Little Rock. 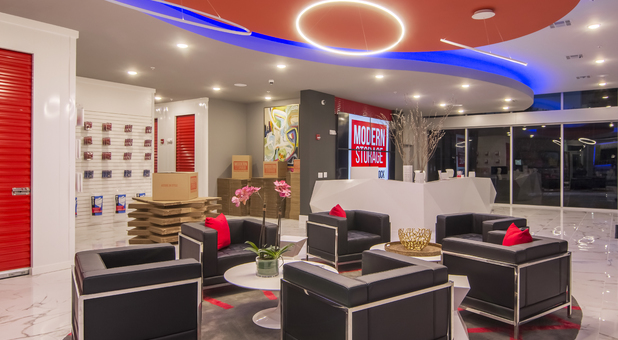 There is no way you will miss our big, bright "Modern Storage" sign.